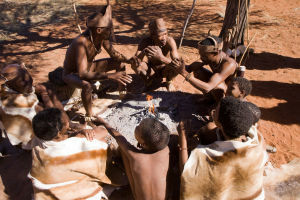 It is our firm belief that CSI initiatives should not only be regarded as a means to either impress the authorities or improve one’s BEE scorecard, but rather be a genuine display of our African philosophy of Ubuntu (which can be loosely translated to mean “being in compassion and unity with the other”). At Ample Solar, our social upliftment focus and heartfelt responsibility as a truly South African company is to create backed-up opportunities for people to access education and training in a variety of areas, especially those that are industry related. In all the communities that we have dealt with, lack of education, skills and access to information has been identified as the main barrier to the betterment of people’s lives, the majority of whom are simply not equipped enough to fit anywhere beyond general labour work. Often, after short-term project employment, they have nothing else to do for survival except to wait for their infrequent luck to strike again. Whilst government has redistributed land back to these communities which were forcefully relocated to townships or Bantu settlements during the apartheid era, the challenge still remains that they cannot use this land productively without enhanced knowledge and economic participation. This understanding is what forms the bedrock of our Corporate Social Investment commitment in the long-term. Meanwhile, we have to date, invested in purchasing playgrounds for crèche children in Platfontein and Groenwater. We have also upgraded and renovated the soup kitchen in Platfontein to respond to the immediate and desperate needs of the hungry and destitute. Here, unemployment and poverty is so high that the !Xun and the Khwe are regarded by the United Nations to be amongst the highly marginalised minority communities in the world. Our dream is to bring a sparkle in the lives of these communities and many like them. It is also our hope that our helping hand can spread as widely as the sun’s rays according to God’s plan – Insha Allāh, as it is said in Arabic. Ample Solar is an Independent Power Producer (IPP), whose objective is to develop, operate, maintain and own; profitable solar generation facilities that distribute green electricity to the national grid. © Ample Solar (Pty) Ltd. All rights reserved.